What seems surprising, however, is that this shift is happening even in the face of repeated cautions and warnings about the security of public clouds. The key challenge for decision makers is how to balance the business need to quickly transition to cloud with the equally important business need of maintaining information security and privacy. Lucky for us, two recent public cloud reports from Gartner and Cloud Spectator have gone a long way toward addressing this critical question. 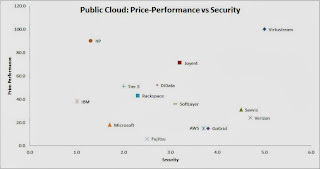 Gartner’s “Toolkit: Comparison Matrix for Cloud Infrastructure as a Service Providers, 2013” provides a comparative scoring of the security and compliance capabilities of the Gartner Public IaaS Magic Quadrant companies while Cloud Spectator has recently provided a price/performance scoring for the same group of companies. I’ve used this data to produce the Price/Performance vs Security chart below. While this marketplace snapshot is definitely not definitive, this data should certainly help us all who are charged with managing this important transition. Thanks. I just updated to post in order to clarify data origin. The Price-Performance score is a blend of technical performance (CloudSpec Score) obtained from Cloud Spectator and use case performance obtained from Gartner. I then normalized the values using equal weight. In the chart, the higher the value on the vertical axis, the better. Security score was obtained from Gartner. The further to the right on the horizontal axis, the better. Very interesting take on the two analyses, Kevin! 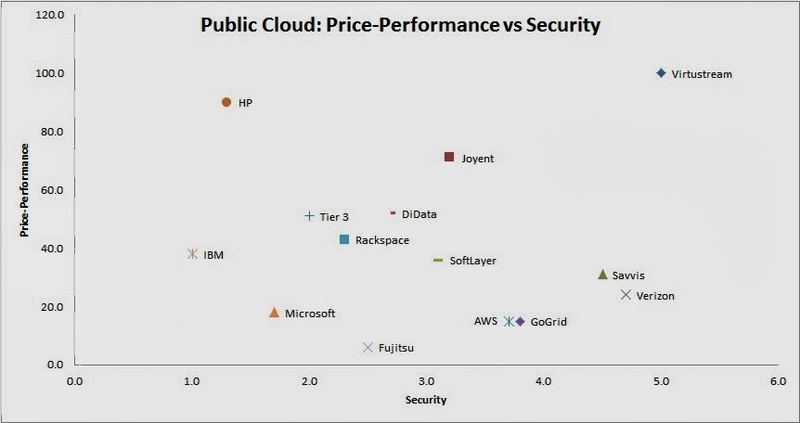 Just out of curiosity, which price/performance values did you use from the Cloud Spectator report? The system performance? 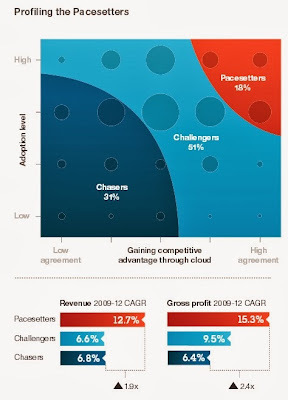 The information here is well-illustrated, and simplifies a range of concerns brought up in the cloud industry. Thanks for the post, and I look forward to seeing more information like this in the future.